It’s about time the Australian’s had something to get excited about after witnessing their finest cricketers take a tonking in the Ashes, and that has arrived in the form of 18-year-old Bernard Tomic. The 18-year-old, world number 208 has already upset the Australian Open odds and defeated one Spaniard in Feliciano Lopez, and the Australian public are right behind the youngster completing a Spanish double and taking out Rafael Nadal. However a quick look at the Australian Open betting odds would tell you that the Australian enthusiasm will be short lived with Nadal available at 1/66 to beat Tomic. 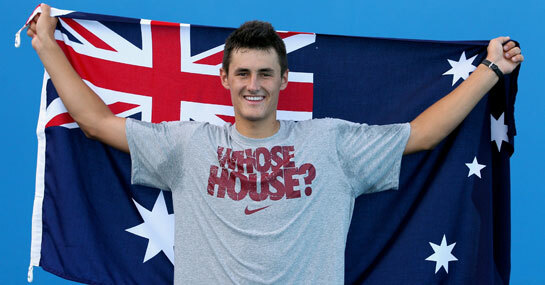 The hype surrounding the youngster, plus the patriotic bets matched by the Australians, leaves Tomic short at 12/1 to beat Nadal considering the difference in the world rankings between the two. Nadal’s progress to the fourth round seems fairly simple, but Jurgen Melzer, Marcos Baghdatis, John Isner and Marian Cilic all face a battle to progress. Melzer vs Baghdatis is the most enticing betting proposition in Saturday’s men’s draw, and Melzer, who finished 2010 playing some of his finest tennis, is the 4/5 favourite to beat Baghdatis. Melzer is 11 places higher in the world rankings than Baghdatis (10/11 to beat Melzer) and is yet to drop a set in the Australian Open. While Baghdatis beat Juan Martin del Porto in the last round, he has struggled in both of his opening two matches, dropping three sets and Melzer offers all the value at 4/5 to progress. Marian Cilic vs John Isner is also an enticing betting market and Cilic, at 4/6 to beat Isner, also offers plenty of value. The two have never played each other but Cilic has dominated his opening two matches and is worth a punt at 11/4 to beat Isner 3-1. A £25 double on Melzer and Cilic winning would return £75. New customers can sign up here for a free £25 bet.